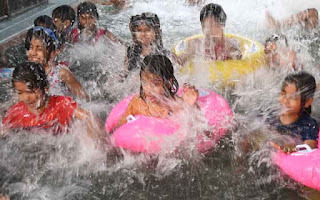 Patna: Residents of the State Capital felt excessive heat through out the day because of the hot and humid weather. 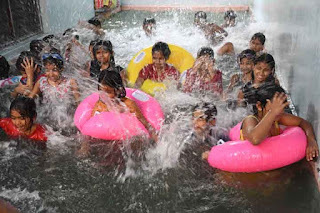 But for the kids of Tender Heart International School, this was a day for enjoyment and fun in the swimming pool of the school. The school has organised a summer swimming camp for the children studying in lower classes.